The Trudeau government cleared the decks for a voter-friendly pre-election budget next spring, as Finance Minister Bill Morneau used the Fall Economic Statement to encourage corporate Canada to open their wallets and invest in the economy with a significant tax break. Resisting calls from Canada’s business sector to match the Trump administration’s corporate and personal tax cuts, Minister Morneau chose to incentivize greater business investment in Canada, with write-off and capital cost measures expected to cost $14 billion in revenue over the next five years. Morneau singled out equipment used for the manufacturing and processing of goods, and clean energy equipment, as eligible for a full tax write-off. With this measure, the marginal effective tax rate on new business investment would fall from 17.0 per cent to 13.8 per cent — the lowest in the G7. The government also boosted the Strategic Innovation Fund to attract global business investments to Canada by a further $800 million over five years. Morneau also highlighted Canada’s record of leadership in clean growth, taking further steps to frame the possible 2019 ballot question over carbon pricing. In his speech, he announced a new Advisory Council on Climate Action focussed on the transportation and building sector, led by environmentalists Stephen Guilbeault and Tamara Vrooman. In a move that will be portrayed by the opposition as a pre-election gift to the media, the government has finally ceded to years of demands for financial relief for struggling newspapers and the journalism sector, while falling short of a full bail-out. They have announced a 15 per cent tax credit for digital news media, levelling the playing field by matching similar incentives that have been in place for print publications. In addition, they are creating a new category of charitable organization, enabling non-profit news organizations to issue tax receipts to donors. These combined measures are expected to cost the government $595 million over the next five years. The Conservative opposition was quick to pounce on the government’s refusal to announce a timeline to balance the budget. Morneau anticipated this criticism in his speech, advancing a balanced approach between the record $1.5 trillion deficit fuelling the Trump administration’s tax cuts, and a refusal to cut spending in a manner that would harm economic growth and the most vulnerable. With today’s update, the federal deficit is projected to decline from $19.6 billion in 2019–20 to $11.4 billion by 2023–24, with the federal debt-to-GDP ratio expected to continuously decline and reach 28.5 per cent in 2023–24. Morneau previewed the Liberal campaign stump speech, listing off promises kept by the government: middle class tax cut, child tax benefit, enhanced CPP, restoring OAS and GIS benefits to age 65, the Canada Workers Benefit and more flexible EI benefits. He also credited leaders from all sides of the political spectrum and at all levels of government for a common front on NAFTA renegotiations. If economists harbour fears about a recession on the horizon, there was no sign of it in Morneau’s speech, which cited the strongest economic growth in the G7, Canada’s lowest unemployment in 40 years and the strongest wage growth relative to inflation in a decade. Counsel is one of Canada’s most respected and successful independent government relations and strategic communications companies. Established in 2004, Counsel’s team includes some of the most sought-after consultants in their fields. 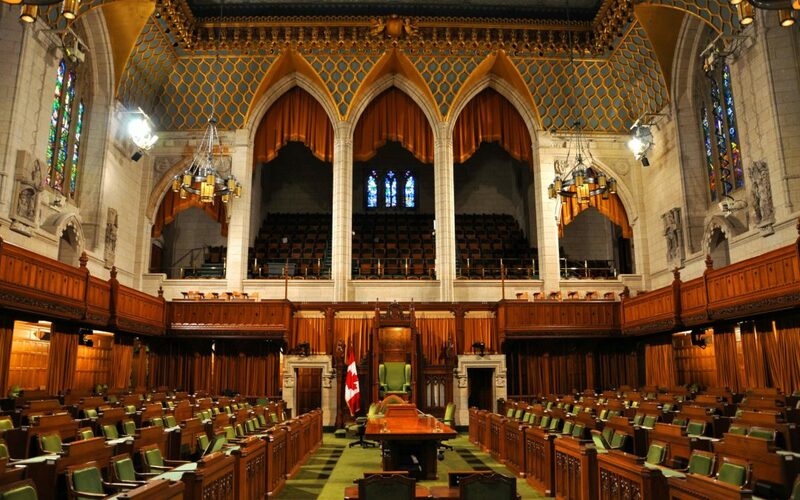 With offices in Ottawa, Toronto, Vancouver and Edmonton, Counsel’s team includes seasoned practitioners who have quarterbacked national political campaigns, run provincial war rooms, served as Ministers of the Crown, led Indigenous organizations and, most importantly, helped hundreds of clients succeed. Our experience is broad, providing us with expertise across a wide range of sectors including Indigenous affairs, energy, transportation, agriculture, public consultations, construction and development, housing, infrastructure, legal, financial services, healthcare, labour, the sharing economy, and much more.